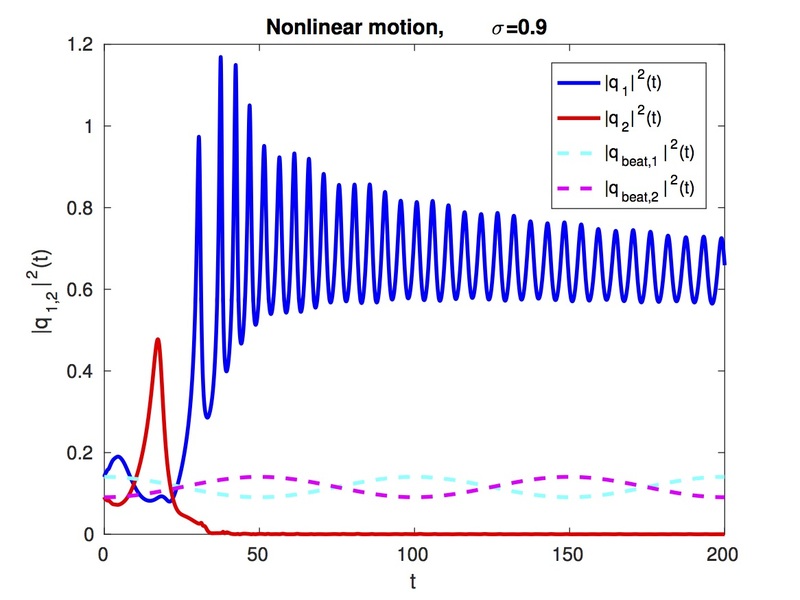 We review some results about the suppression of quantum beating in a one dimensional nonlinear double well potential. We implement a single particle double well potential model, making use of nonlinear point interactions. We show that there is complete suppression of the typical beating phenomenon characterizing the linear quantum case. Keywords: non-linear Schrödinger equation, weakly singular Volterra integral equations, quantum beating.